The Luzano Family from Parañaque City received a plaque and certificate of recognition for winning the Regional Search for Huwarang Pantawid Pamilya 2017. A family of four from Parañaque City, the Luzano family, won the Regional Search for Huwarang Pantawid Pamilya 2017 last September 29, 2017 held in San Andres Sports Complex, Malate, Manila. The Luzano family, headed by the couple Olimpio and Dulce Amor Luzano, bested other 16 nominees from different Local Government Units in the National Capital Region. 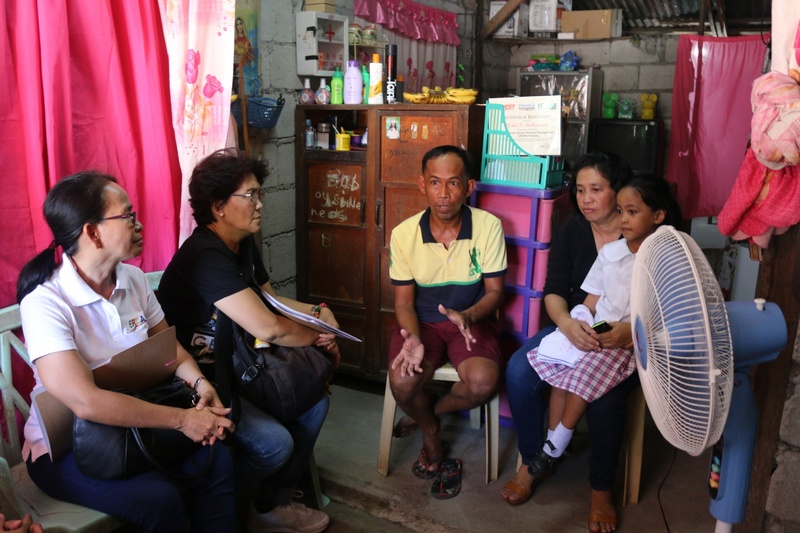 Olimpio, 43 years old, raises his family through his employment as a delivery driver while Dulce Amor, 46 years old, is a housewife yet a committed Parent Leader of Pantawid program who vigorously lead her members through her exemplary conduct in the community. 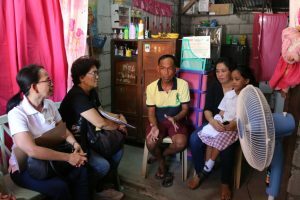 “Napakapalad ko at masasabi kong answered prayer ang pagiging grantee at Parent Leader ng programang Pantawid. Marami po akong dapat ipagpasalamat sa programa, maliban sa pinansyal na aspeto ay marami rin kaming nakukuhang kaalaman sa pagsasagawa ng Family Development Session,” Dulce Amor added. Aside from being an active member in their community and involvement in church endeavors, Mrs. Luzano is also a testament to the benefits derived from the livelihood services provided by the Department of Social Welfare and Development (DSWD) through the Self-Employment Assistant – Kaunlaran (SEA-K) Program as she is now earning extra income through making doormats and peanut butter as well as selling food supplement products. Correspondingly, the Luzano children are examples of exemplary Pantawid Program beneficiaries who affirm the assistance provided to clients as a mean of improving their lives through proper education. The eldest son, Mark Anthony Luzano, is a graduate of BS Architecture in Technological University of the Philippines which was made possible through his scholarship in the Expanded Students Grants-in-aid Program for Poverty Alleviation (ESGP-PA), an educational assistance program by the Commission on Higher Education (CHED) in partnership with DSWD. Mark Anthony graduated as a Dean’s Lister and is now working as a Call Center Agent to save money for his Board Examination and eventual Graduate Studies in the future. Aside from his academic endeavors, he is also an active officer as a Youth representative in their Parish church. Similarly, the youngest son, Charls James Luzano, is a consistent honor student in their school and is highly involved in their church affairs. Honorable mentions were also announced prior to the awarding of the regional winner. LGU-Pasig represented by the Oconer Family won third runner up; LGU-Quezon City led by the Ongas Family won second runner-up; and finally, the Belarmino Family from LGU-Valenzuela City received the first runner-up award. The Regional Search for Huwarang Pantawid Pamilya 2017 of the National Capital Region was started with a validation through interview with local officials, school community and home visitation with the family themselves last August 9 – 25, 2017. The yearly conduct of the said search is spearheaded by the Regional Inter-Agency Committee for Filipino Family (RIAC-FF) which aims to look for the best model family among the different Local Government Units in the Region. DSWD-NCR leads the inter-agency committee with the support of the following focal persons from different agency members such as CHED, DepEd, DOH, NHA, POPCOM, PIA and ERDA Foundation. Grandparents Week was celebrated in EGV paying respect and importance to the geriatric residents from the three cottages namely Sta. Ana, San Lorenzo and Waling-Waling. The week-long activities were planned and executed by the Psychological Service in coordination with service units involved. The long week celebration started with distribution of Gratitude Cards last September 4, 2017 after the Flag Ceremony to staff who were already enjoying their moments and perks of being Lolo and Lola. A simple message of gratitude and appreciation to their love and efforts were written. Likewise, last September 6, a mini-ball and September 9 a videoke party was organized for the senior residents from three cottages. Residents actively enjoyed the groove of ballroom music like tango, cha-cha, waltz and swing. They enjoyed the bonding through the groove of retro music. Residents also celebrated their moments through videoke singing. Male residents offered a simple gesture of love by giving flowers to their chose female dates. After a simple merienda, a community singing of Handog (Tatanda at Lilipas Rin Ako) culminated the ball. The Pag-asa Youth Association of the Philippines-National Capital Region (PYAP-NCR), a partner organization of the Department of Social Welfare and Development-National Capital Region (DSWD-NCR), marked their anniversary celebration with the theme, “43 Years of Meaningful Youth Participation towards Drug Free Nation #PYAPPush “ on September 09. 2017 at Malabon Amphitheater, Malabon City. Present in the event were 447 youth from the Local Government Units (LGUs) of Las Piñas City, Valenzuela City, Marikina City, San Juan City, Malabon City, Mandaluyong City, Caloocan City, Municipality of Pateros, Caloocan City, Makati City and Taguig City as well as several staff of DSWD-NCR. The event celebrated their “meaningful youth” in spite of the setback and obstacles in their lives. A program consisted of various games and competitions such as poster making contest, banner-making contest, interpretative dance and lastly, the main event, the Ambassador and Ambassadress of PYAP NCR 2017 were prepared for the participants. Ms. Maridol R. Licerio, Social Welfare Specialist for Youth encourages the participants to join the activities prepared for them and to simply enjoy the event. She also said that they should listen to the forum with Atty. Mario Dionisio Jr., the Resource Speaker, so that they can be well-informed of their rights and the specific laws for the children and the youth as they are the center of hot-issues nowadays especially related to committing crimes and abusing illegal drugs. In line with this, Atty. Mario Dionisio Jr, Public Attorney III discusses the Republic Act 9344 or the JUVENILE JUSTICE AND WELFARE ACT OF 2006 and Republic Act 9165 or the COMPREHENSIVE DANGEROUS DRUGS ACT as these pertain to a very relevant issue which is being faced by the youth today. After the lecture and forum, the interpretative competition and poster-making contest were simultaneously conducted and participated by different LGU group representatives. The participants showcased a performance which brought a message, through dancing and creative arts, which is relevant to the issue on the youth and the government. The Ambassador and Ambassadress of PYAP-NCR 2017 was the main highlight of the event which not only bragged their beauty and brains but also their determination and advocacy despite being a children in-conflict with the law (CICL) and out-of-school youth. This year’s winners in PYAP- NCR 2017 Interpretative were Marikina City (1st place), Las Piñas City (2nd Place) and Valenzuela City (3rd Place). For the Banner-Making Contest, the winners were Valenzuela City (1st place), Las Piñas City (2nd place) and Malabon City (3rd place). Next, for the poster-making contest were Valenzuela City (1st place), Las Piñas City (2nd place) and Marikina City (3rd place). Lastly, the Ambassador and Ambassadress Lastly, the Ambassador and Ambassadress crowned were Mr. Jobert Bascos and Ms. Carmella Lazaro who were from Marikina City. The over-all champion for the successful competition was grabbed by Marikina City. Posted on 01 September 2017. The participants of the Kabalikat sa Kabuhayan Urban Farmers Training Program taking a group photo with the representatives from DSWD, SM Foundation, Inc., MacPlas Academy and the local government of San Juan City. The 153rd batch of the Kabalikat sa Kabuhayan Urban Farmers Training Program was launched on the 30th of August at San Juan City. 150 Pantawid Pamilyang Pilipino beneficiaries were in attendance in the event. The Kabalikat sa Kabuhayan program is the initiative of SM Foundation to provide a healthy and sustainable food source for communities. During the 12-week training program, participants will learn about the concept of smart farming which will maximize the spaces that they have in their backyards. The sessions for the urban farmers training program will be held every Monday at Barangay Corazon de Jesus. Posted on 28 August 2017. Community Awareness is a half day activity that aims to provide outdoor experience to residents of Elsie Gaches Village. Its purpose is to expose residents to activities or scenarios happening beyond the gates of the center. 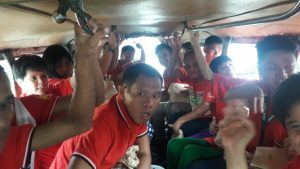 Fifteen (15) selected male and female residents were able to experience travelling by jeepney, have their hair cut in a salon, shop in a grocery and buy food in a fastfood chain. 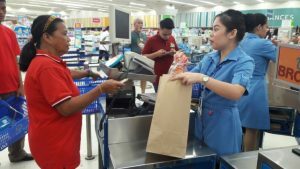 The activity was held last August 25, 2017. Residents were assembled at Meehan building at 9:00 in the morning. They rode the center’s ambulance to SM Southmall as the starting point of their activity. 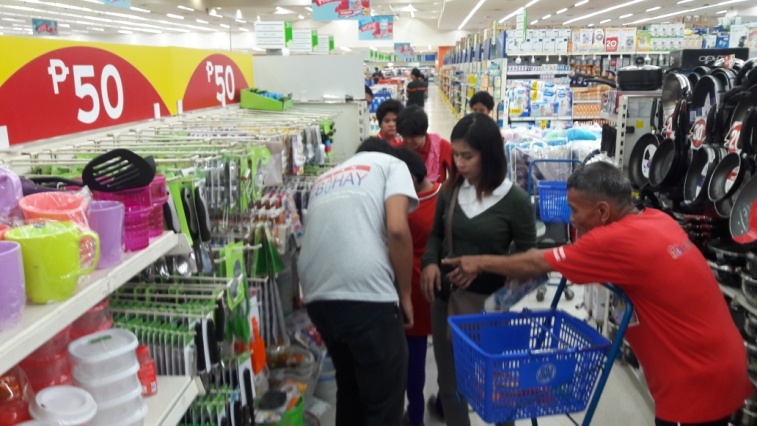 They started at Grocery Shopping in SM Southmall Supermarket, where facilitators introduced to the participants the items that can be seen and bought inside a grocery store. Participants were able to experience purchasing items for themselves such as powder, deodorant and cologne of their choice. They were also asked to choose between pouch bag, tumbler or lunch box depending on what they need the most. 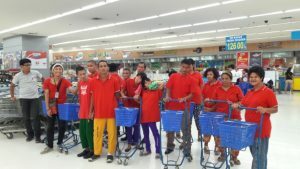 Everyone enjoyed as they stroll and look for the items they had to buy while pushing their carts. After getting all the needed items, participants paid for their own items at the counter/cashier while being guided and assisted by the facilitators. 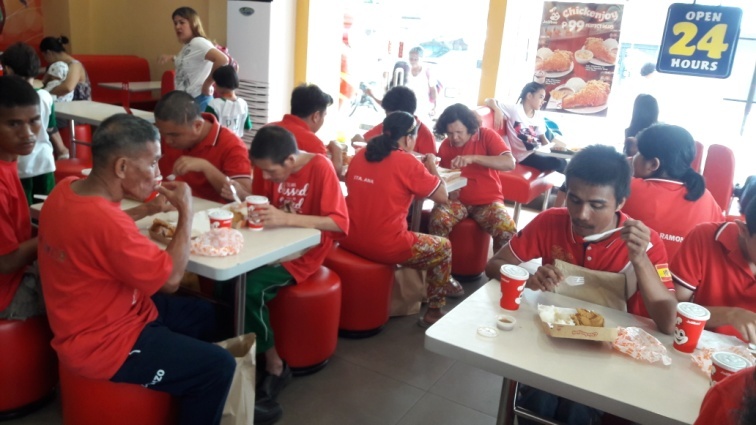 Afterwards, the participants had their lunch at Jollibee and Pilar, Las Pinas City. Subsequently, they proceeded at Index Salon to have their hair cut. They were all excited and a bit nervous since most of them were salon first-timers. Before having their hair cut, they had the privilege to decide the kind of hair style they like for themselves. 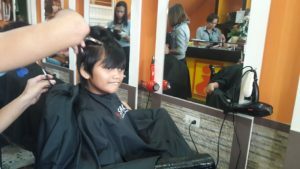 As they all waited patiently for their turn, some of them had an interaction with the people inside the salon by chatting with customers and haircutters. The last part of the activity involved riding a jeepney going back to the center. Everyone fitted exactly in one jeepney. While on their way, residents shared their experiences during the community exposure. They also expressed their gratitude for being part of this kind of activity and even asked if they can be included to more activities in the future. The driver was very kind and considerate that he agreed to drop the residents inside the center. Ms. Nellibeth V. Mercado, Chief of the Gender and Development Division of DSWD-NCR, discusses relevant information to GADTWG Pantawid Pamilya subcommittee during the Gender Analysis Training. 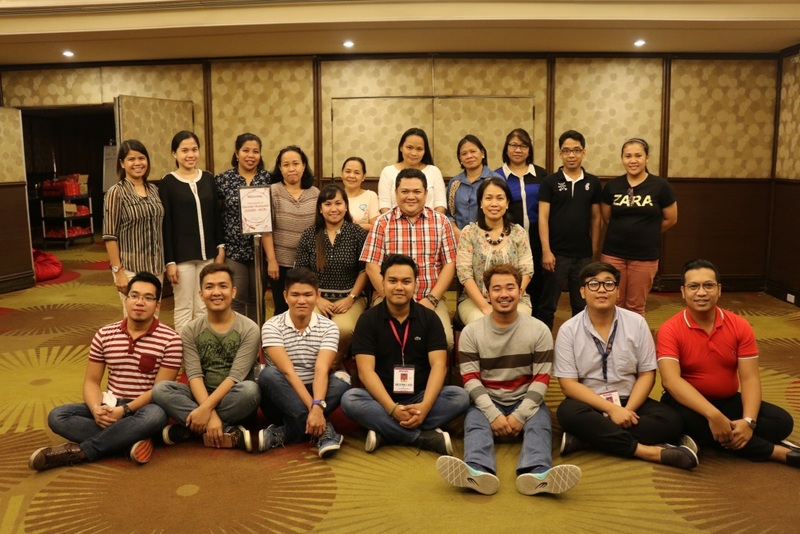 Employees of the Department of Social Welfare and Development – National Capital Region (DSWD-NCR) particularly under the Pantawid Pamilyang Pilipino Program participated in the Gender Analysis Training last August 10-11, 2017 held in Binondo, Manila. The said training was composed of the Gender and Development Technical Working Group (GADTWG) Pantawid Pamilya Subcommittee who took part in learning the gender analysis tools which could be applied in the context of GAD mainstreaming in the Pantawid Pamilya NCR, with the end view of coming up with recommendations for planning and budgeting. Participants of the Gender Analysis Training posed for a group photo opportunity before the activity ends. To further reinforce gender-responsive efforts, the participants were also presented with international and national frameworks and tools that are helpful in conceptualizing strategies to address practical GAD-strategic needs of beneficiaries under Pantawid Pamilya program. Ms. Nellibeth V. Mercado, Chief of the Gender and Development Division of DSWD-NCR and Ms. Wina Panuelos-Beltran, GADD-PDO, served as the resource speakers of the activity. Posted on 10 August 2017. Rodel Antoniano together with his family, a household nominee from Taguig City, answers questions given by team validators as part of the assessment process of the Regional Search for Huwarang Pantawid Pamilya 2017. The Regional Search for Huwarang Pantawid Pamilya 2017 of the National Capital Region has officially begun last August 9, 2017. The yearly conduct of the said search is spearheaded by the Regional Inter-Agency Committee for Filipino Family (RIAC-FF) which aims to look for the best model family from different Local Government Units in the National Capital Region. Local officials are being interviewed as part of the validation process of the household nominees in the competition. Photo taken during the validation in Barangay Aguho for the Bigcas Family, a family nominee of Pateros. The basis for selecting the regional winner is anchored on the criteria set by the Department of Social Welfare and Development Central Office. This includes the following measures: a) 100% compliance to the conditionalities set by the Pantawid Program (25%); b) practices of the family to promote Healthy Living (20%); c) Involvement in the community and their environmental endeavors (20%); d) apparent display of love and respect among family members and to their community (20%); and e) proper management of conditional grants given to the family (15%). A total of 17 household nominees have been validated by the committee members through interview with local officials, school community and home visitation with the family themselves. The contenders of the search includes the Antoniano Family of Taguig City, Magtibay Family of Makati City, Luzano Family of Paranaque City, Balangue Family of Muntinlupa City, Mojados Family of Las Piñas City, Pimentel Family of Pasay City, Domingo Family of Navotas, Cagalingan Family of Malabon City, Belarmino Family of Valenzuela City, De Guzman Family of Caloocan City, Enriquez Family of Marikina City, Ongas Family of Quezon City, Oconer Family of Pasig City, Ayao Family of Mandaluyong City, Atibagos Family of San Juan City, Bigcas Family of Pateros, and the Lachica Family of Manila City. Through the competition, it is expected that such project can help to advocate the positive impact of the program, honor the initiatives of the Pantawid Pamilya beneficiaries in religiously complying with the set conditionalities, promote responsible parenting, and to recognize the efforts of the beneficiaries in participating to community development endeavors. DSWD-NCR leads the inter-agency committee which conducts the validation and assessment of the nominees with the support of the following focal persons from different agency members such as CHED, DepEd, DOH, NHA, POPCOM, PIA and ERDA Foundation. The team from Barangay Culiat, the overall champion of the Inter-Barangay Pantawid Pamilya Cook Fest here in a group photo with Vice Mayor Joy Belmonte, Councilor Marivic Co-Pilar, the judges of the cook fest and the members of the District VI District Action Team. It is a challenge for every parent on how they could provide healthy and delicious dishes that would also fit within their household budget. This is the challenge that was given to the teams in the District VI Inter-barangay Pantawid Pamilya Cook Fest. With the theme of “Mura at Masustansya, Pagkaing Pantawid Pamilya”, the teams comprised of members of the barangays and MCCT of Quezon City’s District VI are competing to be the overall champion of District VI in the Pantawid Pamilya cook fest. The teams are tasked to create a variety of dishes for breakfast, lunch and dinner using various healthy ingredients. The teams were given an hour to prepare and arrange the presentation of their dishes for the judges to taste. At the end of the day, Barangay Culiat were named as the champions of the inter-barangay cook fest with Barangay Sangandaan taking first prize.